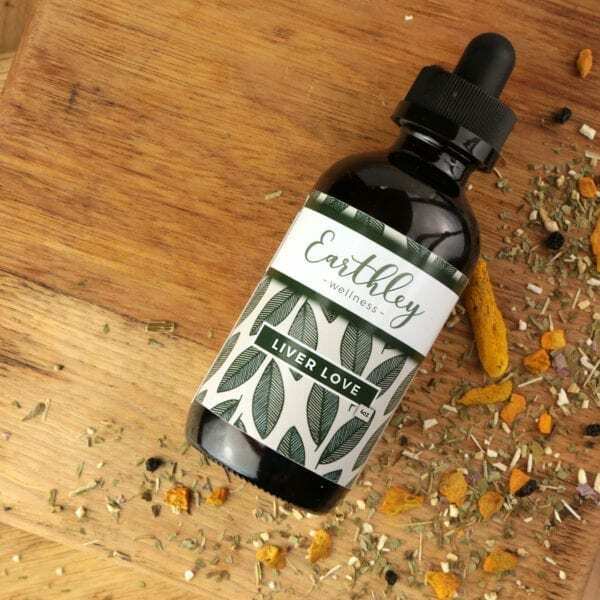 Support your liver and promote healthy, natural detox with Liver Love! Our livers work hard to take care of us — it’s time to take care of your liver. These herbs for liver health support liver detox and function. 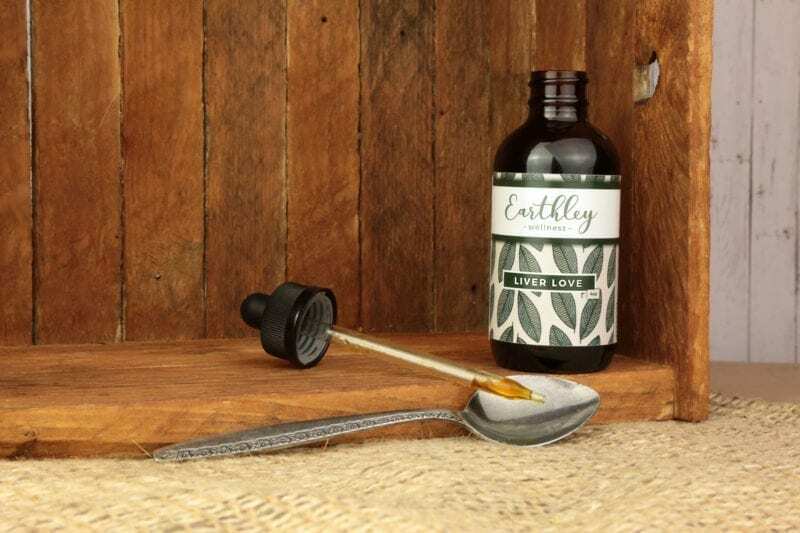 Earthley’s tinctures are always free of sugar, colors, flavors, synthetic vitamins, and preservatives. It’s Time to Give Your Liver Some Love! We live in a toxic world, surrounded by pollution, processed food, chemical-filled drinking water — and our livers bear the brunt of it. The liver’s job is to keep us healthy, no matter what we’re exposed to, but when we’re exposed to too much, our livers need some extra support . . . some Liver Love! The liver is the filter in your body. It processes all the toxins and junk and helps to naturally detox. When Does My Liver Need a Detox? When it gets congested by all the “stuff” that’s out there, it can’t do its job efficiently, and leading to all kinds of symptoms, like headaches, sluggishness, fatigue, musty-smelling breath, nausea, constipation or diarrhea, and lots more. That may mean you need a liver cleanse and the help of liver herbal supplements. 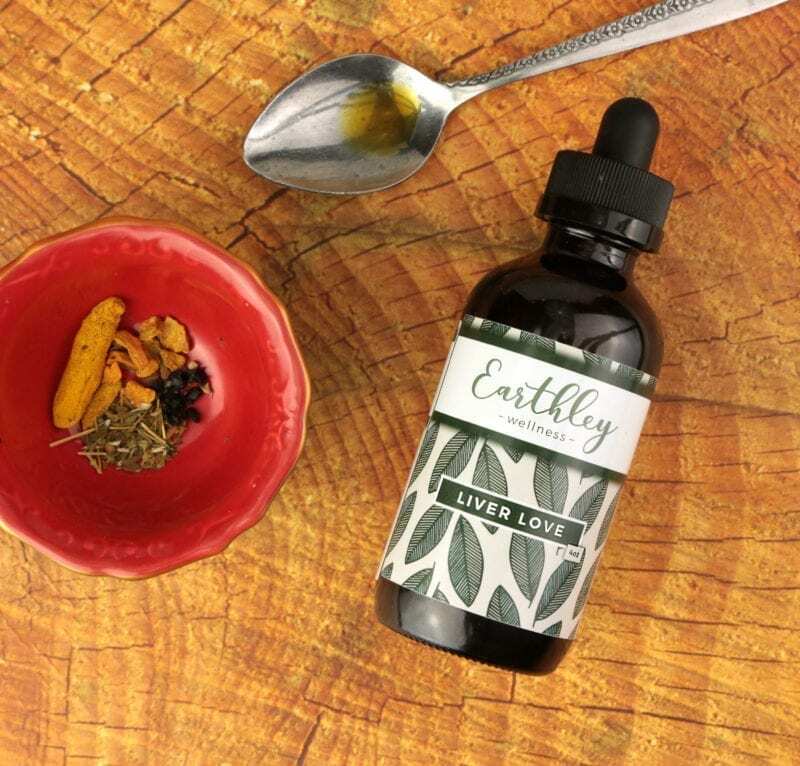 If you know or suspect that your liver could use a little help, try Earthley’s tincture with natural liver support. 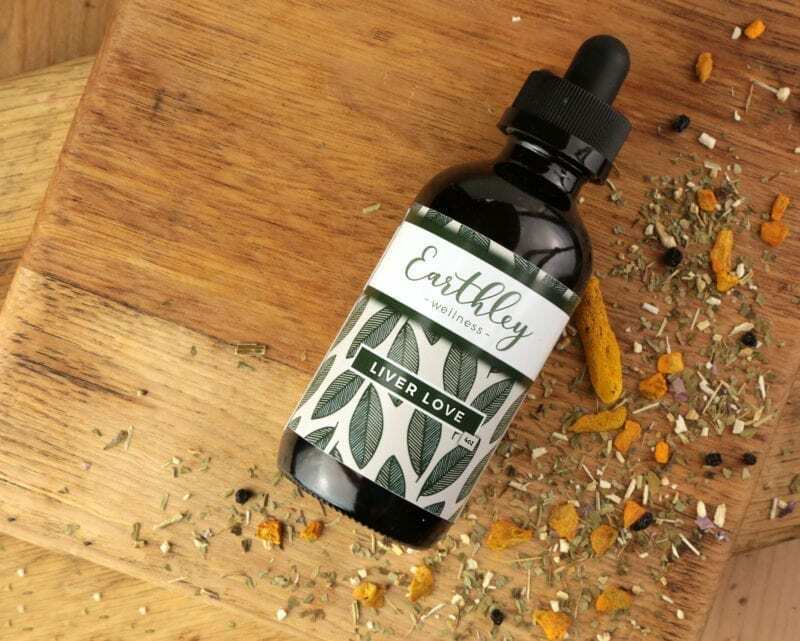 The herbs in our liver health tincture formula reduce inflammation, support the liver directly, and give your whole body a pick-me-up. 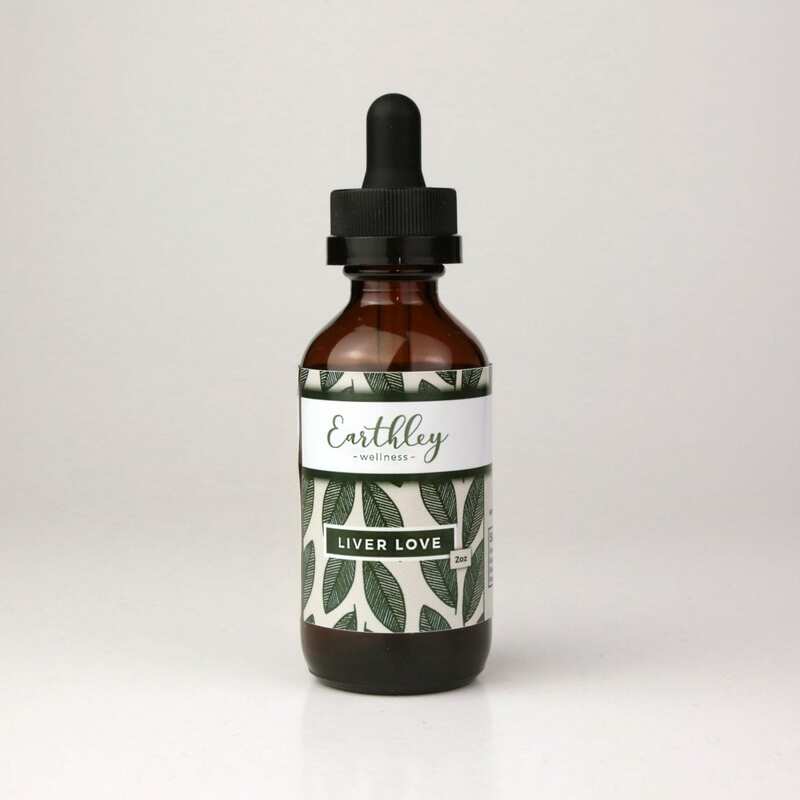 It’s the perfect way to start or support any type of detox or new diet that you may be trying. A detox or liver cleanse won’t work if your liver can’t process all the junk you’re trying to release! Liver Love is also great for those working on hormone balance. Sometimes too many hormones circulate in the body the liver can’t break them down properly. In general, we could all use some more liver support. Enjoy a healthier, more active life with herbs for liver support in Liver Love! 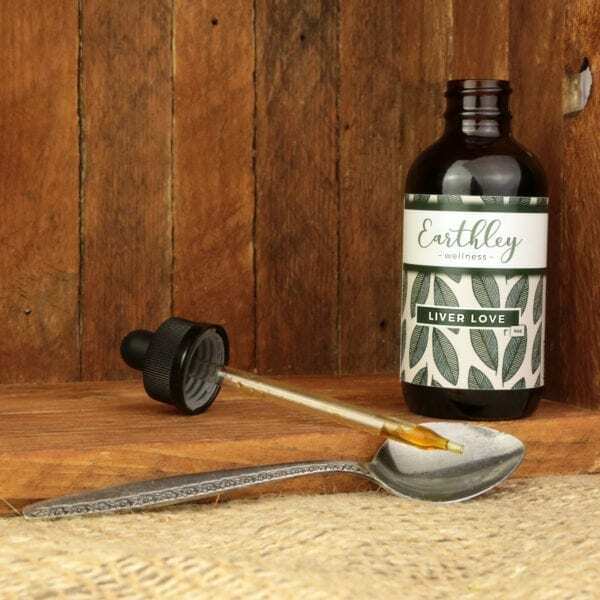 Take 1 dropper full 1 – 3x per day for natural liver detox support. Take 1 dropper full as needed to aid in detox-related headaches, fatigue, or other symptoms. Shelf Life: 2 years. Safe for people over the age of 2. Use with caution while pregnant or nursing, as peppermint may cause contractions or affect milk supply. Honestly the name kinda made me nervous thought it would taste like bad but was eager to try a detox. I like the taste, easy and gentle to use. Good for beginners and for the family! Love that we now have something to cleanse our livers. 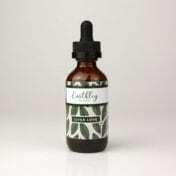 I’ve been using this to help detox and balance my system, and giving some to my son who has been dealing with a yeast rash and taking several prescriptions. I don’t notice a difference for myself, but I’ve seen improvement in his rash, so I know it must be working. This is very easy to take and tastes pepperminty. I feel this is a great to use daily for easy liver assistance. Easy to take and tastes decent. I love that it’s a super gentle detox that I can do while nursing because it’s really just supportive of the liver doing what it already does. I haven’t noticed much of a difference in me yet, but I do like this product. I don’t know what I’m supposed to expect from this product. I’m not reacting poorly to the product so there’s that. I think it’s probably working but because it’s so gentle with no side effects and gradual improvement that’s hard to tell. I’m giving it five stars because I like the formula. A few of us have been on some prescription meds lately, and we’ve been taking this to support our liver. It tastes nice, but it’s hard to know how effective it is. Because i know Earthly, and i know so many of their other products are great and cry effective, i can trust that this one is doing it’s job! First off, the taste is SO STRONG. Youll want to put it in water or something. I take it under my tongue, but it still makes me cough a bit (definitely the peppermint). But it does seem to work so well. I use it for a detox every once in a while.